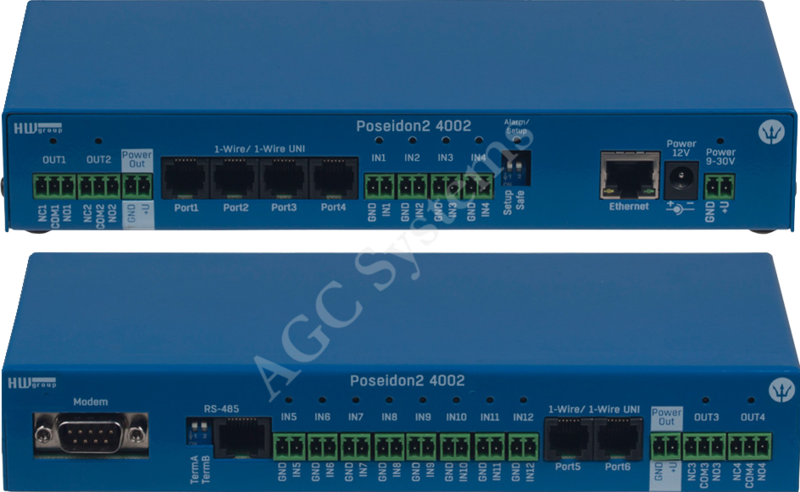 Poseidon A series of devices designed for the monitoring of device’s operation, temperature, humidity, flooding and transmitting notifications by e-mail/SNMP/SMS. 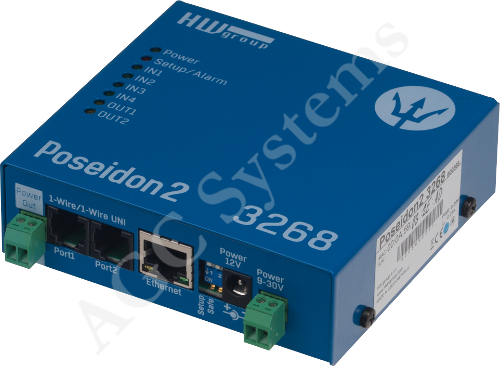 Poseidon2 3266 Poseidon2 3266 is used for the monitoring of temperature, humidity, volt-free outputs. The information is transmitted to the device vie the Ethernet. 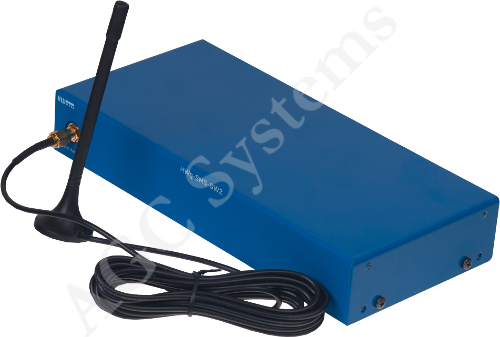 The device can send notifications by e-mail and SNMP into supervisory system. 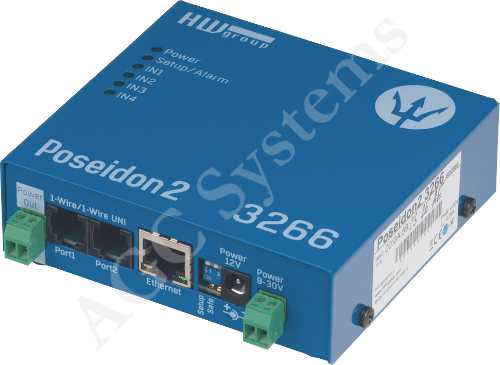 Poseidon2 3268 Poseidon2 3268 is used for the monitoring of temperature, humidity, volt-free outputs. The information is transmitted to the device vie the Ethernet. The device can send notifications by e-mail and SNMP into supervisory system. 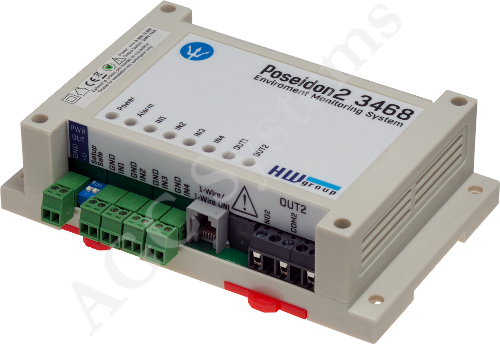 Poseidon2 3468 Poseidon2 3468 is used for the monitoring of temperature, humidity, volt-free outputs. The information is transmitted to the device vie the Ethernet. The apparatus may send notifications by e-mail and SNMP into supervisory system. The device is designed for a fixed installation. 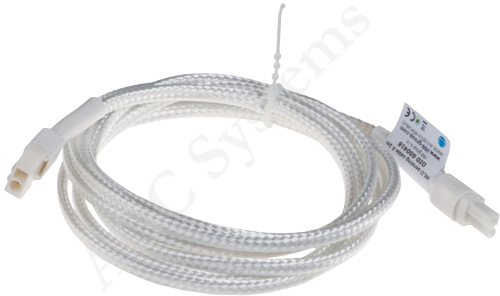 Designed for installation on rail. 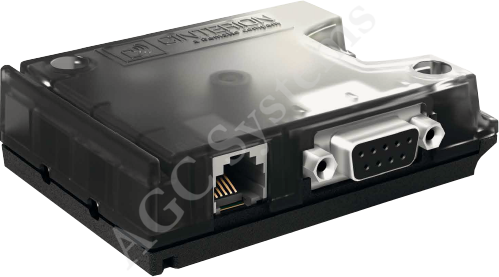 Poseidon2 4002 Poseidon2 4002 is used for the monitoring of temperature, humidity, volt-free outputs also in rack cabinets (it is adjusted to be installed in 19-inch cabinet). 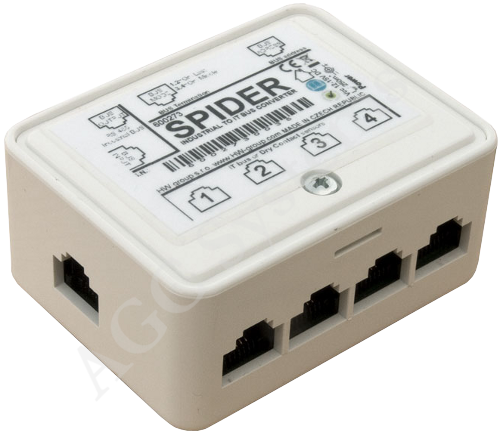 The device can send notifications by SNMP, e-mail and SMS (required GSM modem) into supervisory system. 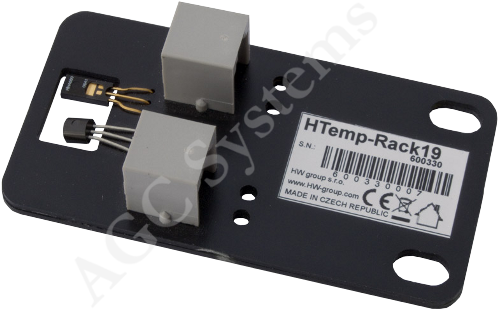 Temperature and humidity detector Temperature and humidity detector is adjusted to be fitted into the rack cabinet. * Niniejsza cena ma charakter informacyjny i nie stanowi oferty handlowej w rozumieniu Kodeksu Cywilnego art. 66 par.1. Podana cena jest ceną netto w PLN "loco" magazyn AGC Systems.